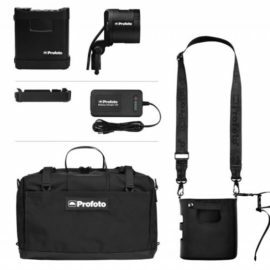 Whenever Profoto introduces a product, anyone in the photo world sits up and takes notice since at the very least, it’s going to be impressive. 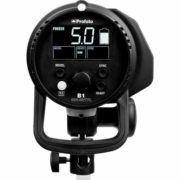 The introduction of the B1 500 AirTTL is truly ground-breaking or to be more accurate, game-changing. 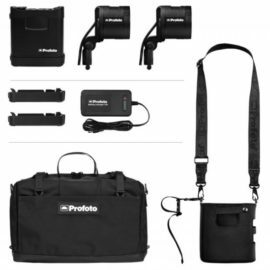 Based on the popular D1 Air series of monolights, all of the familiar professional and convenience features we’ve come to expect from Profoto are onboard. The B1 has the same dense, durable polymer housing, integrated 77-degree reflector, built-in receiver compatible with Air transmitters and intuitive highly visible controls and display as the D1 but with two striking differences – battery power and TTL camera/flash integration. 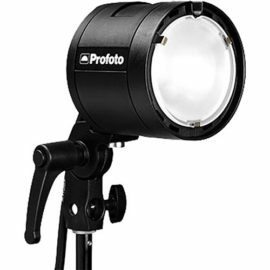 Busy photographers can literally set up their lights, slip the optional Air Remote TTL-C or TTL-N transmitter onto their camera’s hot shoe and point-and-shoot without taking a reading and testing. Traditionally point-and-shoot would be a suspect term for a pro, but not if you’re shooting back to back jobs on an impossible schedule with what you thought was an undoable deadline. Composition, posing etc, is of course up to the photographer, but time after time the B1 will give you a first shot exposure that’s a keeper. The key to this control is the optional Air Remote TTL-C (for Canon) or TTL-N (for Nikon) transmitter. Operating on 2.4 GHz band width, the transmitter, really a controller, has 8 frequency channels and with 3 groups per channel and a range of up to 330′ for TTL triggering and 1,000′ for normal triggering. Each channel has power ratio capability of +/- 2 stops. If you prefer to use manual you have +/- 9 stops power variation. You’ve also got modeling light, unit shut-down and first or rear curtain control. 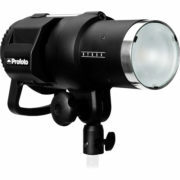 The TTL-C/N and the B1 500 Air TTL have mini-USB connectors for firmware updates directly from Profoto’s website. The head can be triggered by any Air Remote but requires the TTL-C/N for full functionality. Core performance features are equally impressive. The B1 recycles in 0.1 to 1.9 seconds but can deliver up to 20 flashes per second in Quick Burst Mode which engages at lower power settings. Flash duration in Normal Mode is a very fast 1/1000 sec but there’s also a Freeze Mode that delivers flash durations a short as 1/19,000 sec. for capturing liquid sprays or splashes and other creative effects. A free update from Profoto’s website adds High-Speed Sync to the B1 and Air Remote TTL-C or TTL-N. HSS is the technical term for syncing flash with shutter speeds shorter than the so-called x-sync – typically 1/250 of a second. It’s a useful tool for controlling ambient light and for freezing action. Profoto uses a patent-pending technology that emits an extremely fast series of flash pulses. With the upgrade installed, a simple button-press activates HSS Mode allowing you to shoot at shutter speeds as fast as 1/8,000 of a second. 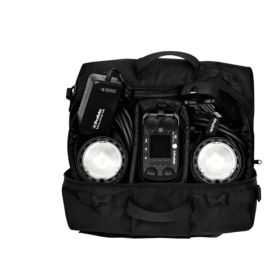 The B1 500 AirTTL employs an exchangeable Lithium-ion battery that gets up to 220 flashes on a 2-hour charge with the included 2.8A charger or a 1-hour charge with an optional 4.5A quick charger. The Battery has fuel gauge-type LEDs that make monitoring remaining power easy. 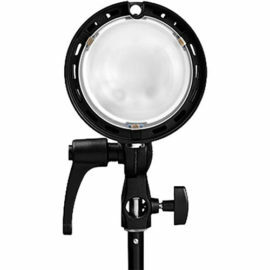 The B1’s modeling light has been upgraded to LED to put less strain on the battery and provide the equivalent output of a 70W halogen bulb. Finally, B1’s the back panel has been upgraded with a large, bright LCD screen that informs the user of the flash’s power level, radio channel and group, sync choice, modeling light mode and recycle alert. There’s also a large battery gauge that literally can be read from 20′ away. 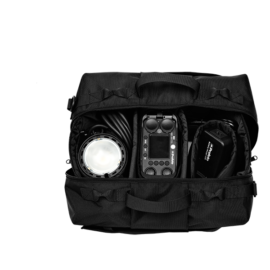 The B1 500 TTL comes with protective cap, 2.8A charger and a soft case.